Are You A Coach or a Trainer? Track and field athletes know the difference between success and failure is measured in inches and tenths of a second. 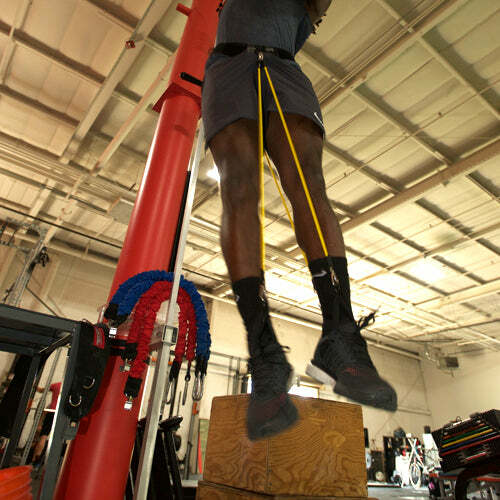 To be the fastest or jump the highest or farthest, WearBands’ unparalleled functional resistance can be the difference. Unlike weighted clothing, for example, WearBands’ low impact (really no-impact) resistance gives you all of the load with none of the mass, meaning your body receives the benefits of functional resistance without the negative impact on your joints and back. 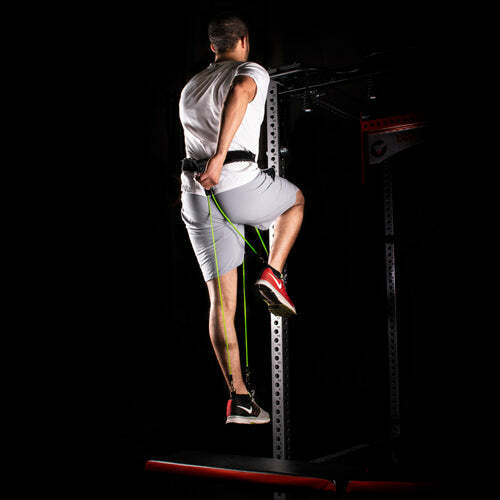 Just clip our bands to our patented belt and socks and add variable resistance to speed, agility, plyometric or weight work and you’ll feel the system working immediately. 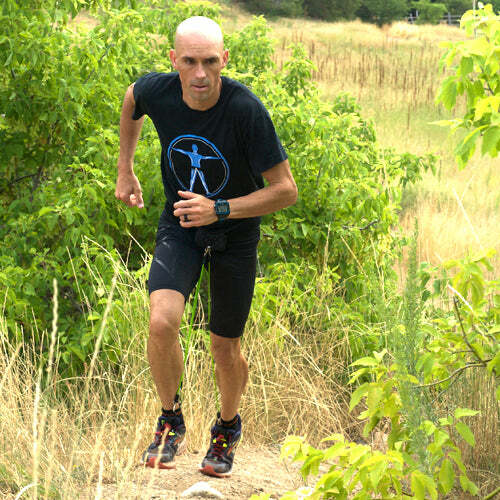 WearBands is also great for reinforcing proper running technique. 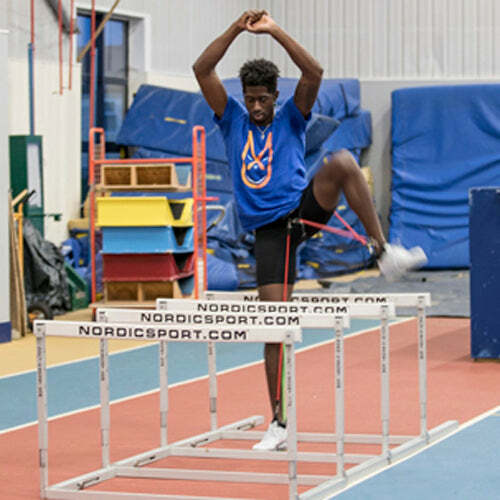 WearBands has been discovered by some of the world’s top track & field athletes, including world and Olympic champions and medalists in the 100MM, 100MM hurdles, 200MM, long, high and triple jump. 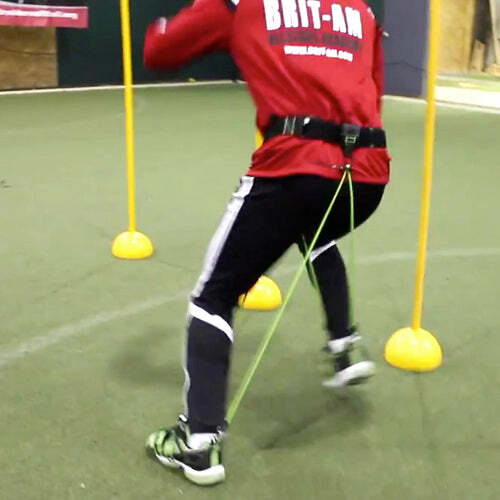 They have incorporated WearBands into their training because they and their trainers know an innovative and effective training system when they see one, and understand its unique ability to deliver pure functional resistance. 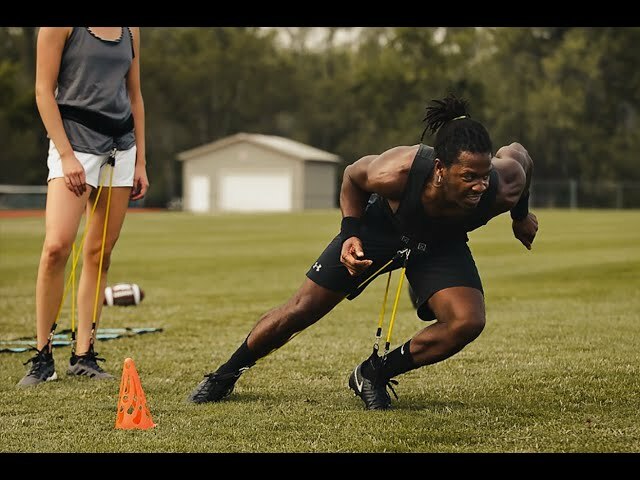 Whether a professional football player or aspiring to be one, WearBands can and will unlock greater functional speed, agility, footwork and strength at the position-specific level. 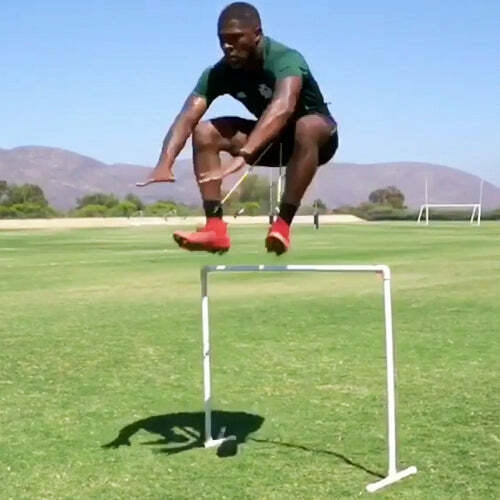 Running backs, quarterbacks, receivers, defensive backs, and linebackers can improve footwork, change of direction, leaping ability, and first-step explosiveness. Offensive and defensive linemen can improve footwork, quickness, explosion, core, glute, hip, and leg strength to maximize the power they need in the trenches. 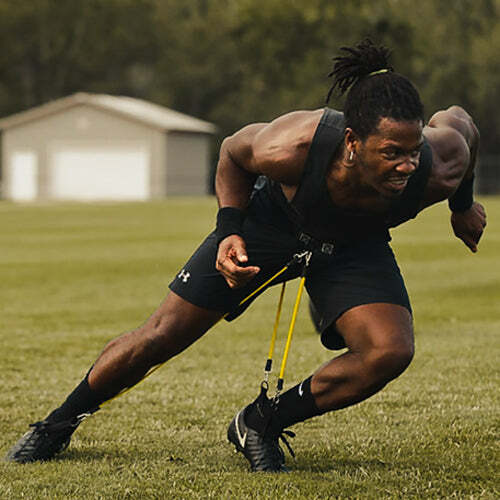 Multiple pros in the NFL and CFL and their trainers are training with WearBands to improve hip, glute and leg strength, positional speed and agility, explosiveness, and jumping ability. Basketball requires not only ball-handling skills but great footwork, acceleration, jumping ability and functional endurance. Proper conditioning and functional strength reduces the wear and tear on knee and ankle joints, enabling the athlete to perform better and reduce the risk of injury. 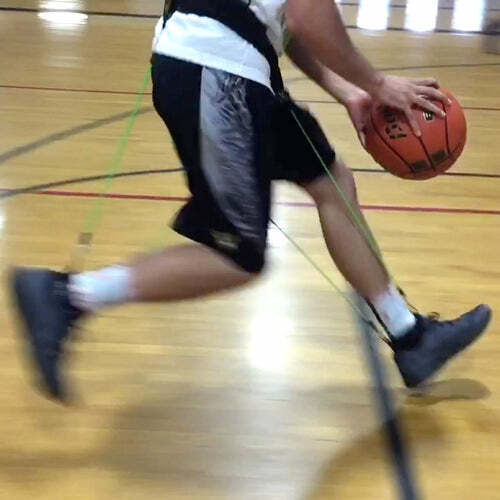 WearBands’ ability to functionally train the basketball athlete on-court under coordinated, full-time, no-impact resistance, and with his or her hands free to simultaneously practice ball skills, results in a better functionally conditioned, more explosive athlete. 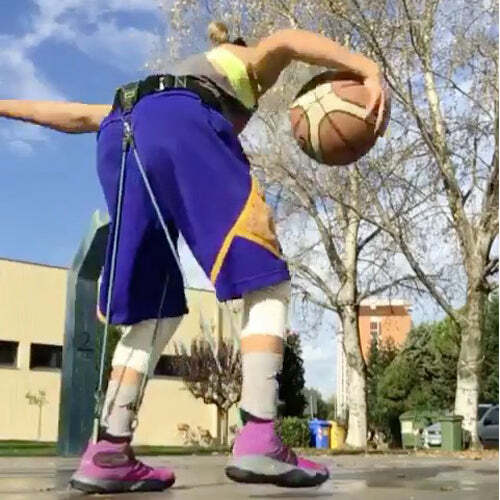 More and more basketball skills and conditioning trainers are discovering WearBands and using it with their athletes of all ages. 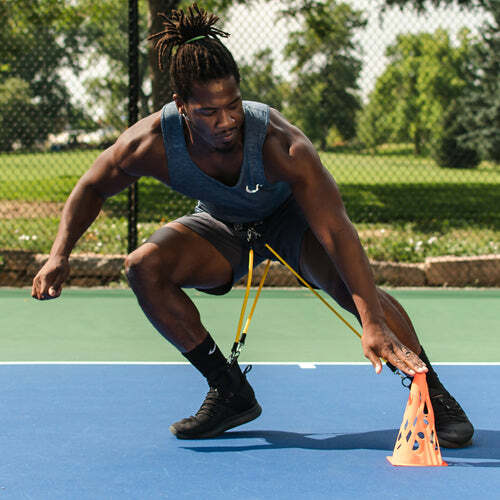 They have witnessed firsthand the benefits of taking no-impact, multi-directional functional resistance from the gym to the court to produce stronger, quicker, better conditioned athletes. No-one starts, stops, and turns more quickly than a tennis player. How quickly you can do that is often the difference between success and failure in tennis. 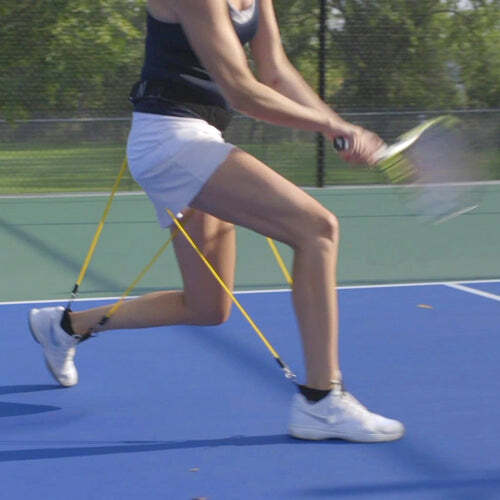 WearBands is unparalleled in its ability to train the body and its fast twitch muscles to make the change of direction movements required by tennis players. 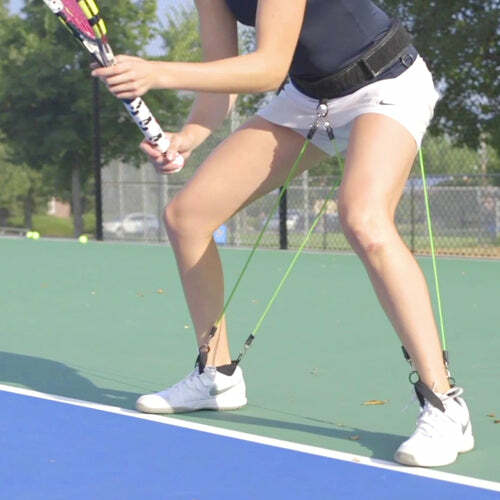 WearBands trains not only the body to make more coordinated, efficient movements around the court, but has the unique ability to improve the neuromuscular feedback between brain and muscles through the sensory feedback provided by the bands. The self-contained system means the athlete is not anchored to a stationary point and is free to roam the court, tennis racquet in hand. The result is a better tennis player! Hockey players need speed, agility, power, and the ability to stop on a dime and change direction. Core stability, glute, hip, and leg strength are essential for the hockey player. 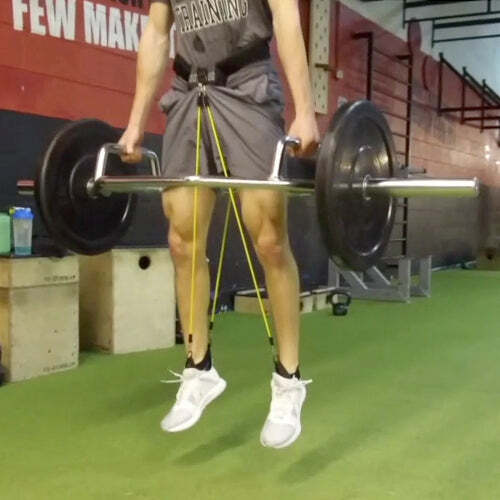 WearBands is the ideal offseason and dry-land training tool for hockey players. 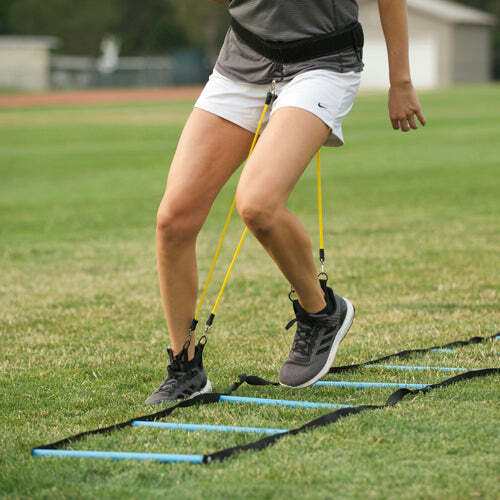 Added to weightlifting as accommodating resistance, added to plyo work like box jumps, lunges, step-up, or speed and agility drills like ladder and cone drills, all translates to improved performance on the ice. America’s favorite pastime requires position-specific skills and athletic ability. Outfielders need an explosive first step and flat out speed. Infielders need great reaction time and lateral movement. Pitchers need great glute, hip, and leg strength. The hips and glutes are also essential to any hitter. Base running and stealing are all about acceleration and speed. 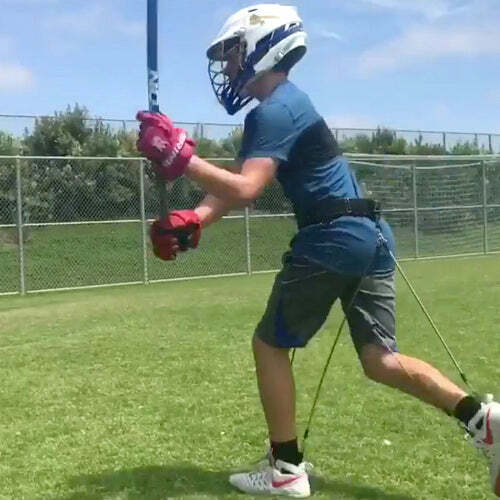 Any position on the field can benefit from WearBands, and because WearBands is untethered and hands-free resistance, both hitters and fielders can practice their craft under WearBands resistance. No other training system allows the baseball and softball athlete to train under fluid, variable resistance while performing position-specific movements on the field in real time - functional resistance at the highest level. On the court or in the sand, volleyball players rely on explosiveness to not only move and jump, but to move and jump quickly. The speed with which they can react, move, and get off the ground is essential to success in the sport. WearBands’ unique ability to be worn with any shoe or no shoes means both court and sand players can train with the system. With no restrictions of movement and hands-free, WearBands is ideal for game situation training – real moves, real sets, real spikes under fluid, no-impact, variable resistance. 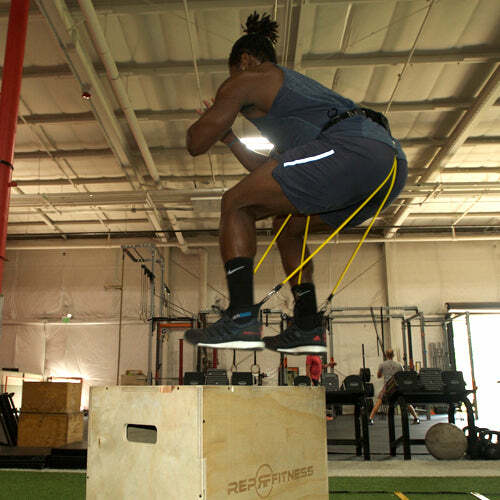 Reaction time is improved, core, glute, and leg strength and endurance are improved, and of course, quickness off the ground and vertical leap improve. WearBands and volleyball are the perfect training match! Multiple pro and national team beach volleyball players are already using WearBands for the ultimate beach volleyball workout. The beautiful game, soccer, is a physically demanding game, requiring speed, endurance, quickness, core strength, and leaping ability. WearBands is one tool that can be used by any player at any position to improve athletic performance. 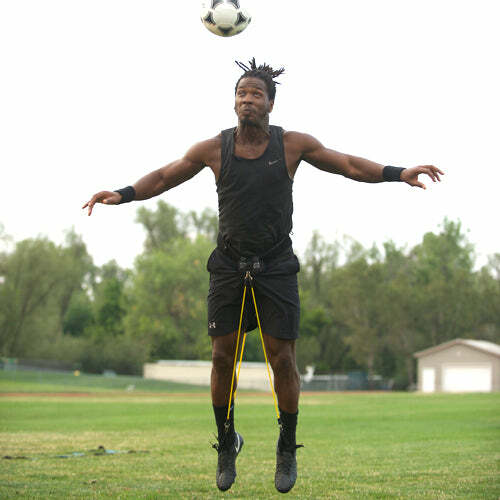 Whether a midfielder, defender, or striker, the system improves functional strength, speed, quickness, endurance, and leaping ability. Goalies also benefit from the ability to train, in net, their vertical and horizontal leaps. 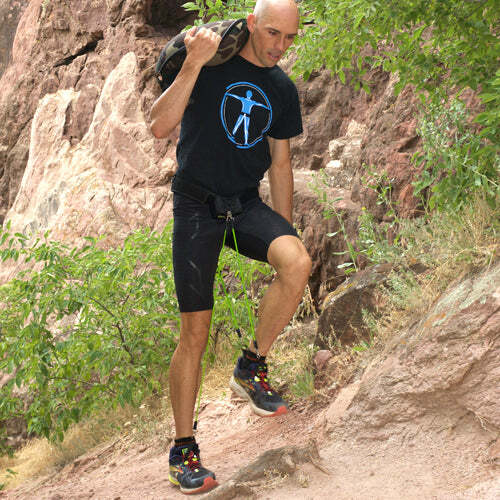 WearBands’ patented design also incorporates the ankle and feet into its functional resistance system. Often ignored in resistance training, strengthening the feet and ankles is paramount to any athlete, including soccer players. Strong feet and ankles reduce the risk of injury and improve the foundation of all athletic movement. Lacrosse is a game of speed, quickness, and strength. Many speed and agility drills are often performed with stick in hand to allow the athlete to combine these drills with all-important stick handling. 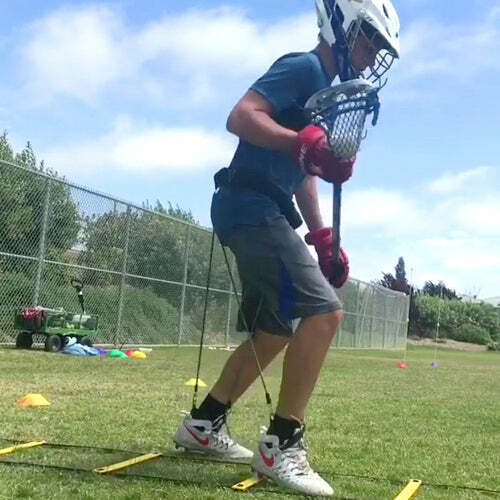 WearBands is uniquely capable of adding no-impact, fluid functional resistance to any lax speed and agility drill, while still allowing stick handling. 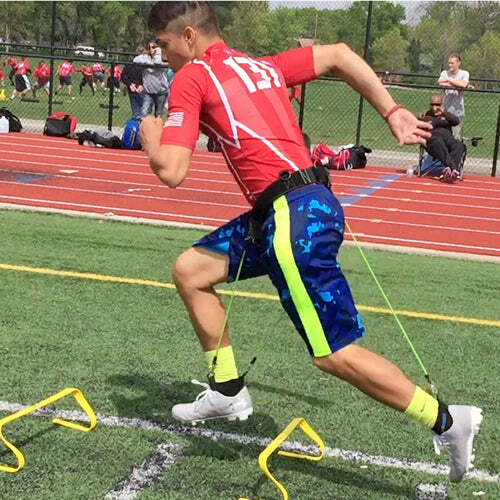 Whether practicing specific agility and conditioning drills, drills involving multiple players with throwing and catching, or even scrimmaging, WearBands seamlessly allows the athlete to train more coordinated movement under resistance. MMA and boxing have as much or more to do with core and leg strength and stamina as with punching power. Every great MMA fighter or boxer has strong legs, hips, glutes, and core muscles, and the stamina to last until the end of the fight. WearBands are ideal for MMA and boxing training. For MMA, you can improve your balance, leg strength, and kicking power. 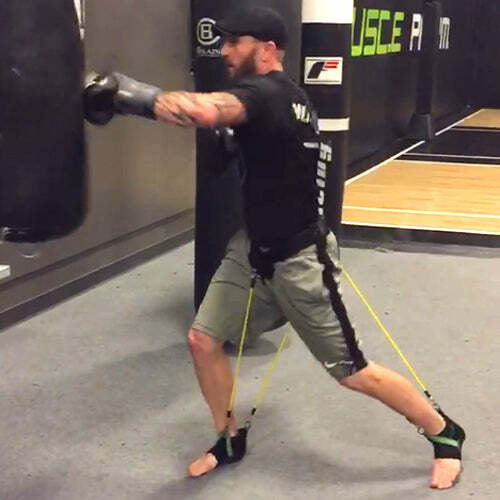 Whether for MMA or boxing, the constant core-to-foot resistance improves muscular and cardio endurance. 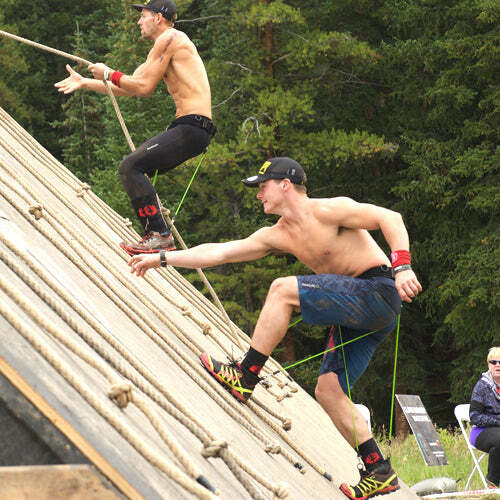 The sport of obstacle course racing (OCR) has exploded in recent years. Spartan Race and Tough Mudder are the most notable, but there are many others. OCR involves multiple skill sets, including speed, agility, strength, and endurance. 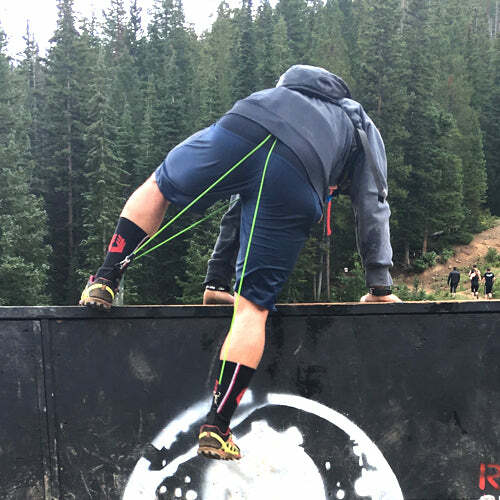 Whether in the gym or outside training, WearBands can be used to build just the kind of multifunctional strength and endurance needed by OCR racers. We have many OCR customers who find WearBands an invaluable training tool, including several Spartan Pro Team members and a former world champion. Accommodating resistance is a staple of many weight training programs. Accommodating resistance amplifies standard weight training by adding variably increasing resistance through the entire range of lifting motion. 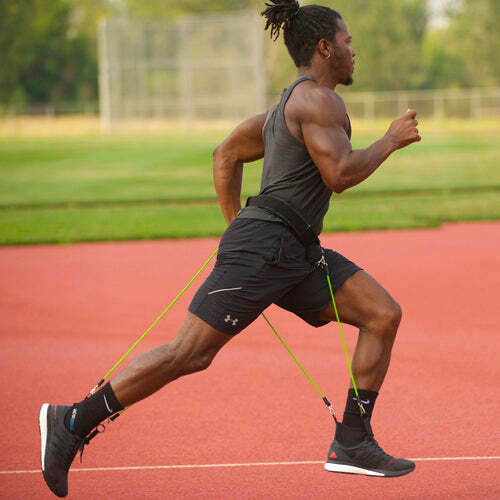 WearBands is a unique and highly effective form of accommodating resistance, because it is worn by the athlete and goes where he goes. 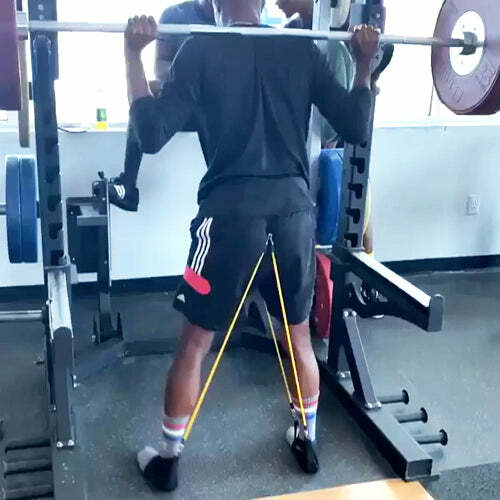 During a weighted squat or lunge, for example, as the athlete extends his legs at the top of the range of motion, the resistance bands are reaching their maximum length, applying their maximum resistance at the end of the motion. This maximizes the muscle recruitment and engagement during the lift. More muscle recruitment and engagement results in greater strength development. 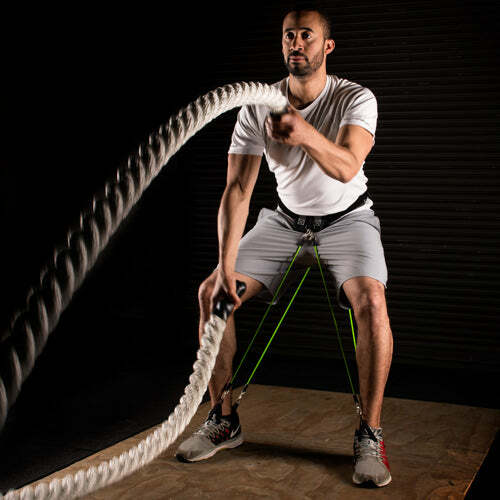 In the same way, WearBands’ constant downward force challenges the athlete’s balance during the lift, activating and engaging more of the crucial core and stabilizer muscles, resulting in better balance and stabilizer strength. Plyometric drills are popular for improving strength, balance, and explosiveness during more dynamic movement than stationary weightlifting. Popular exercises include lunges and box jumps, for example. WearBands’ ability to add functional, no impact, variable resistance to plyometric drills amplifies the results of these exercises. 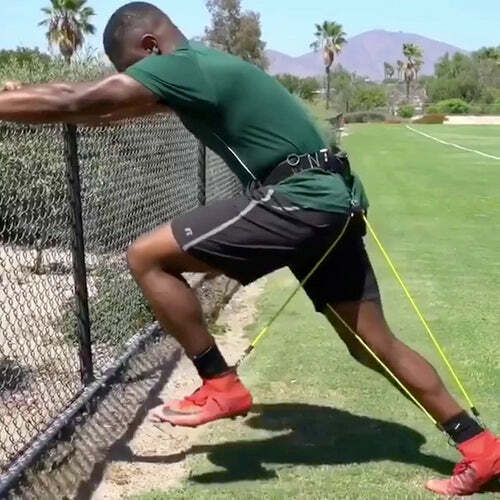 By challenging the stabilizer, quick-twitch and quads, hips, and glutes through the end range of motion, the athletes receives more benefits than he or she would have using only body weight. The result is a stronger athlete with better balance and improved jumping ability. With the WearBands Training System, any athlete in any sport can become functionally faster, quicker, fitter, and stronger. 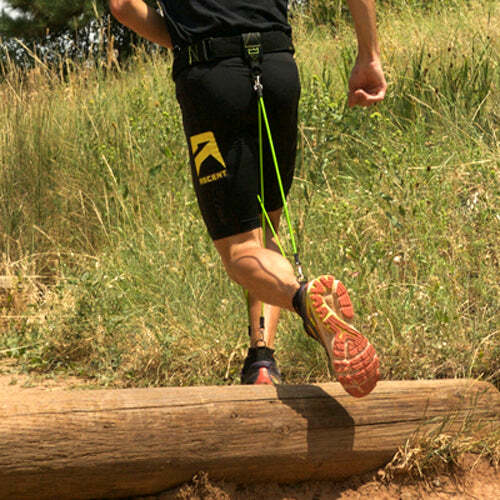 Our resistance bands-based system can be used anytime, anywhere to work out in your own shoes, or even no shoes at all. 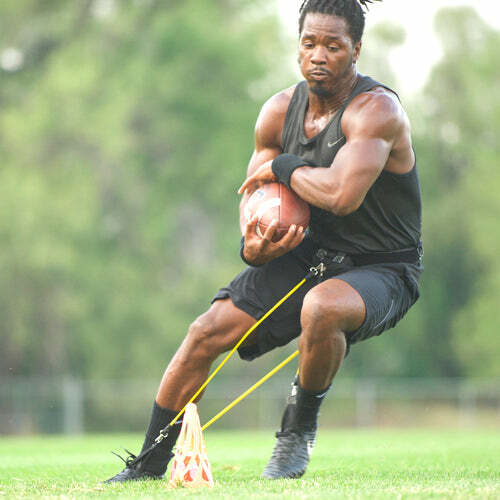 By allowing you to move seamlessly from drill to drill, there is no longer the need to put on and remove a lot of different training equipment in order to target different sport-specific muscle groups and movement. Quick to put on and remove, WearBands leaves more time for what you are there to do – train. Become functionally stronger, quicker, more agile and jump higher no matter what sport you play. Better train your brain and muscles to do what you need then to do when you need them to do it. That's the WearBands difference. Current thinking on athleticism and the nervous system indicates that training the brain is as important as training the body (e.g. muscles) to move in sport-specific ways. This is called the neuromuscular connection. Making repetitive movements over and over is not only strengthening the muscles necessary to make that move, but is improving the brain’s ability, through the nervous system, to make that movement faster. In the same way, when the athlete practices proper technique (running technique, for example) over and over, he or she is imprinting that proper movement on the brain. WearBands has the unique ability to add additional sensory perception (the variable resistance) to movements and technique that, in effect, helps the brain to sense these movements more acutely. 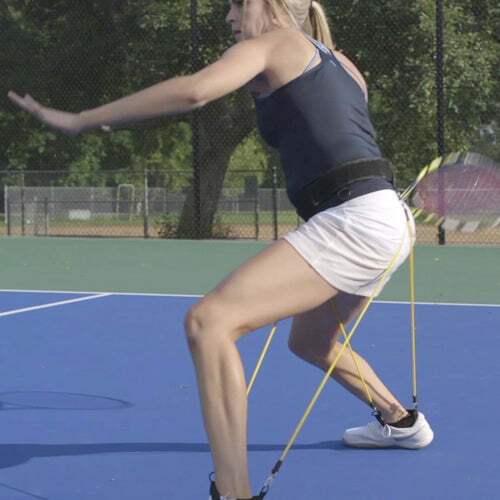 This increased neuromuscular feedback helps the athlete to move better by better training sport-specific movement or by improving technique. 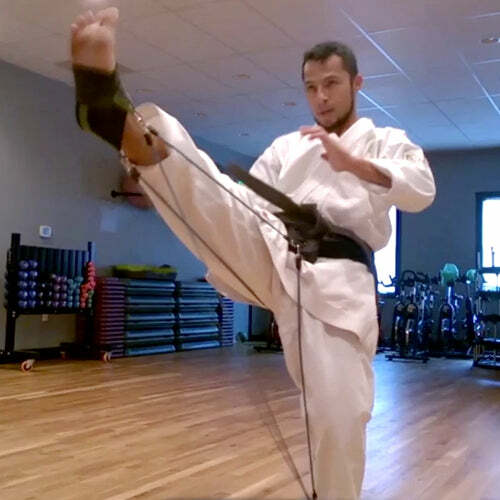 The WearBands Training System comes with a patented, high-performance, military-grade belt, patented socks, and three or five durable resistance bands. The bands are color-coded by resistance level. Multiple resistance levels allow anyone of any size or fitness level to find a band that is right for them and the workout they are performing. Multiple levels also allow you to continue to challenge yourself as your fitness improves and you move up to the next level. 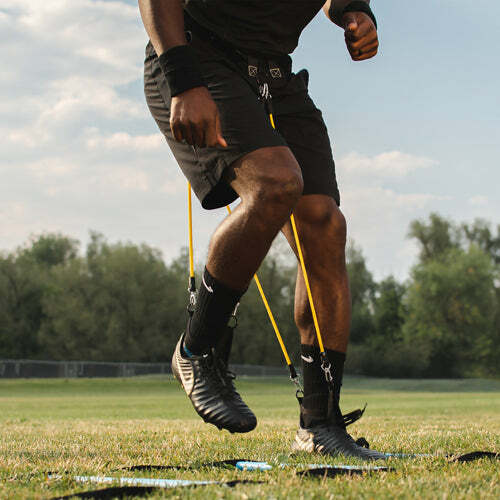 Our optional lateral bands increase lateral resistance for multiple lateral drills. At WearBands, our passion is to help every athlete become a better athlete. Whether a player, coach, or trainer, our system represents a game-changing advancement in functional resistance training. Easy to use, lightweight, portable, and affordable, WearBands can be used by anyone to train anything, anywhere. 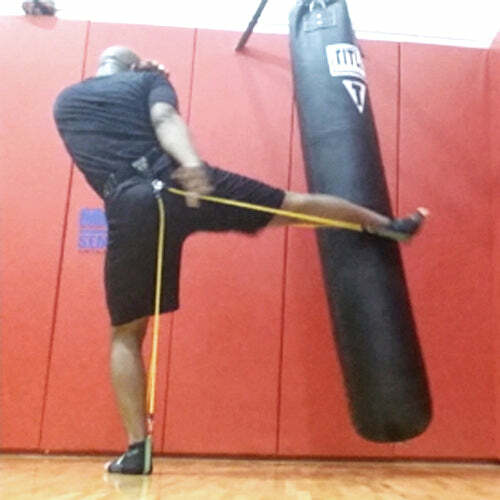 WearBands is evolved functional resistance training. Try it for yourself and become a better athlete. "The WearBands resistance and improved sensory information are amazing for balance control and movement improvement, which are some of the most important goals in sport and exercise. 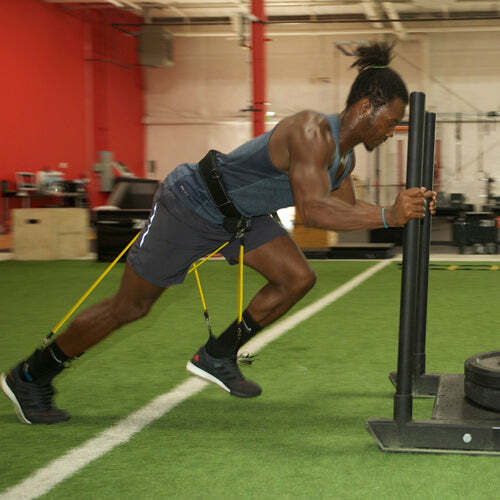 Every athlete of any age who is serious about improving sports performance should own one of these systems."